Turnkey installations for Trap & Treat® products are performed solely by RPI-Group Approved Installers. RPI’s ongoing support ensures project excellence every step of the way. All Trap & Treat® products are mixed with water to form a suspended solid slurry, which is either injected into the subsurface using traditional direct push technology and pumps, or placed directly into source area excavations. 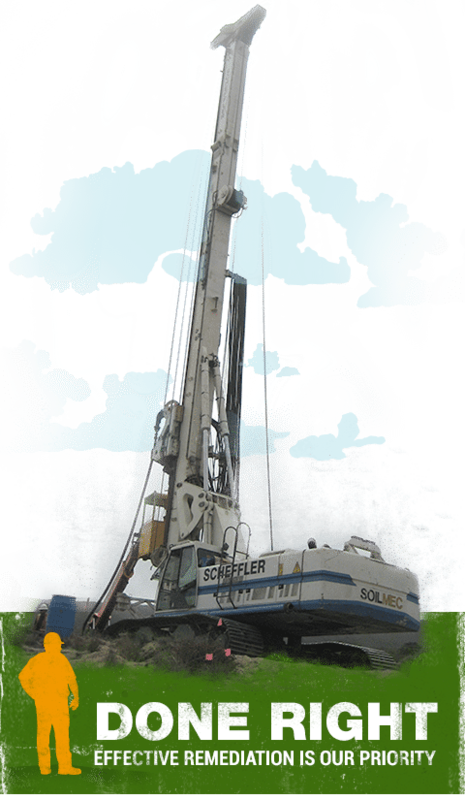 For bedrock applications, specialized drilling and injection equipment are available through RPI Group members. All Trap & Treat® products are safe—and so non-toxic that you could sprinkle them on your food (though we don’t recommend it). While easy to clean off work surfaces, our products can cover clothing and skin with a fine black powder, so we recommend protective gear and dust masks.